I'm fairly certain I'd never read a Georgian romance novel--I mean everything seems to take place in the Regency these days. After getting over the shock, I became even more excited. A non-regency romance? Fantastic! Unfortunately, I only managed to get my hands on a copy of Miss Bridgerton last weekend, so this review is a little late coming. Oh, well. Shall we get on with it? Miss Sybilla Bridgerton has always assumed that one day she'd grow up to marry one of the Rokesby boys since they've been friends their entire lives. However, the one person she'd been certain she'd never marry was the oldest Rokesby, George. She considered him to be a huge stick in the mud, who always thought he knew better than everyone else. Imagine her shock when she suddenly finds herself falling in love with him! George Rokesby never understood why everyone liked Billie Bridgerton. She was flighty and tended to act before she thought about the consequences to herself or anyone else. That's how he wound up stuck on the roof of an old building, waiting for his younger brother to rescue him. However, he soon finds himself under Billie's spell and quickly realizes that she's the only woman for him. I think I might be in love with this book. 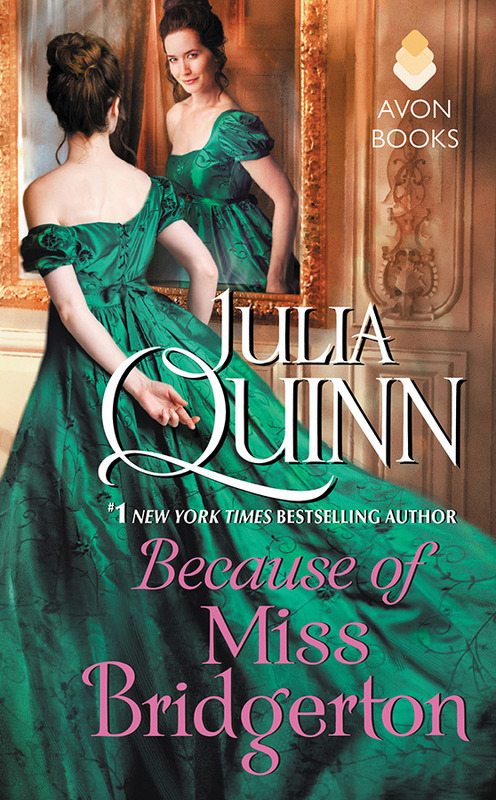 While it is definitely not my favorite JQ novel (that distinction goes to Romancing Mr. Bridgerton), it was a lot of fun to read. There are a lot of books that are enjoyable, but there aren't many in which you want to stay in a character's head. I loved reading Billie's (and George's) perspective. Both were richly drawn and well developed. My favorite thing about most of JQ's characters is that they tend to be complex individuals and this was no different. I loved the fact that both Billie and George were confused by their sudden desire to be around each other and that neither of them were quite sure how that happened. My favorite scene involved a game of Pall Mall, which Google tells me is Croquet, and was the perfect setting to have George and Billie acting jealous of the attentions of the other guests. They still hadn't come to understand their feelings for each other, but what they did understand was that they didn't want anyone else to be with them. Plus, it gave us The Mallet of Death. I do have one issue with this book, though. There is a huge plot twist at about the half-way point that seems only to be put there as a means of getting the main characters to London and once they've gotten there it all but disappears. I doubt that in situations like what happened here that anyone would have acted in the way these characters did. I definitely wouldn't have made a big deal about going to a ball and giving Billie the season she never had (or wanted). The fact that George's mother did is just confusing and more than a little disappointing. I would have much preferred it if this twist wasn't part of the story as it wasn't at all necessary. Had they stayed in the country at the house party Billie's family was throwing, we still would have gotten a makeover scene and they could have found a way to have a dance--it wouldn't have been as fancy as the one they attend in London, but as that was only shown for a few minutes, it wouldn't have mattered. As I said, though, this was only a slight problem and did not lower the grade all that much. I'm still doing a happy dance, so that should tell you something.